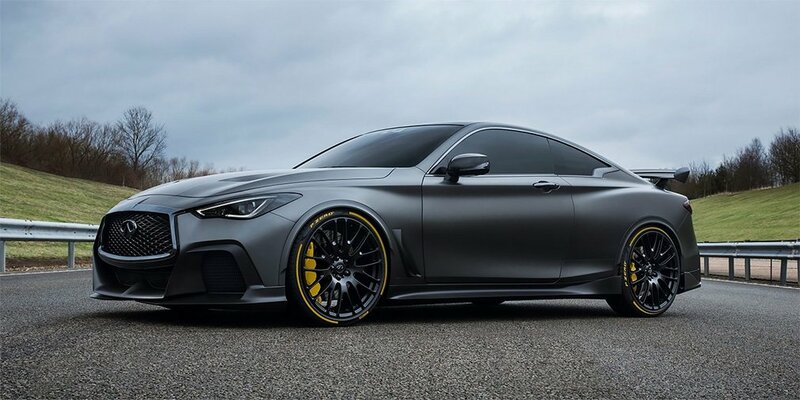 Project Black S is a version of the Q60 coupe with an aerodynamic body kit, as well as a hybrid installation. The car will demonstrate exactly how hybrid technologies are successfully used in the most powerful machines. The technology was taken by the Japanese company from Formula 1. Installation Project Black S will be equipped with an energy recovery system (ERS), like a real race car. When braking, the Coupe will accumulate energy that can be used during acceleration. The hybrid includes a petrol 3.0-liter V6 for 400 "horses." Power in the Project Black S is 570 "horses", and the first 100 km per hour Coupe dials in 4 seconds.